Tonight I’m in Carmel, California, in preparation for tomorrow’s test drive of the all-new, hugely anticipated Lexus IS F sport sedan at Laguna Seca racetrack. Can’t tell you a thing yet about the Lexus; all that information is top secret until the official release date. I pray that he’s not referring to the rumored small luxury car. 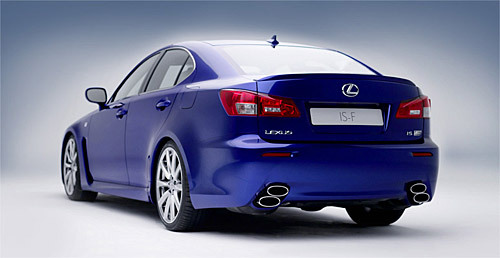 Farley confirms the fact that Lexus is making the European market a top priority, though that was of little doubt. With his talk of the cost associated with building a transmission for a diesel engine, my mind went straight to the IS 220d, which has been available in Europe for some time. However, after looking into it, the IS 220d is only available in manual, meaning Farley must be referring to an automatic transmission.